Make this silly puppy crocheted dog slippers for each of your family members, to keep their feet cozy especially close to bedtime. The dog slipper crochet project is suitable for intermediate to expert level crocheters. The sizes that are included in the crochet pattern are from 6 inches to 8.5 inches foot length. Drops Design’s amazing creative designers are the people responsible for this lovely silly puppy dog slipper. 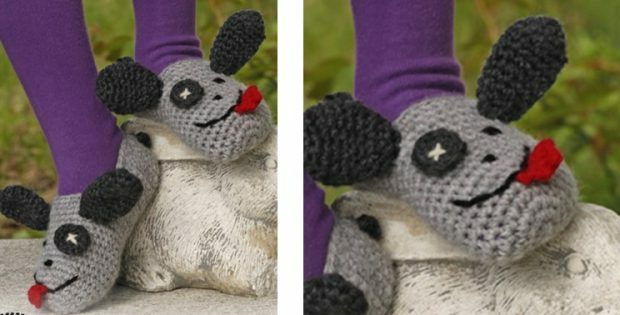 In fact, you can access the FREE crochet pattern for these adorable puppy slippers at Drops Design.